Electrolux is a global leader in home appliances and appliances for professional use, selling more than 40 million products to customers in 150 countries every year. Electrolux has a rich heritage of designing and building kitchen appliances in Europe, which have been used throughout fine homes and restaurants for more than 80 years. Electrolux Design Centers around the world are focused on understanding consumer needs and developing innovative designs that fit with how consumers live. The company focuses on innovations that are thoughtfully designed, based on extensive consumer insight, to meet the real needs of consumers and professionals. 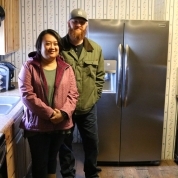 Electrolux products include refrigerators, dishwashers, washing machines, ranges and ovens, room air conditioners, dehumidifiers and vacuum cleaners. This excellence has been recognized with prestigious design awards from leading organizations around the globe. In addition, our products are chosen by the world’s greatest chefs who expect the ultimate in performance. 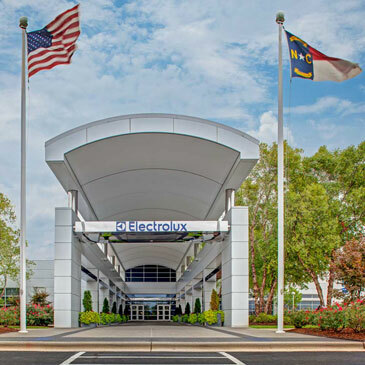 In the United States, Electrolux has made more than $1 billion in capital investment in the past several years including development and launching a broad new assortment of Electrolux appliances the largest such launch in industry history. 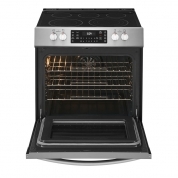 Electrolux products are available in major national and regional retailers as well as in leading local market outlets. Electrolux is also a major supplier of products for professional users in industrial kitchens, restaurants and laundries. Our professional products and expertise inspire and complement leadership products for consumers. Sustainability and environmental concern in products and operations are hallmark priorities at Electrolux. In recognition, Electrolux has been included in the global Dow Jones Sustainability Index which includes the 10% best-in-class economic, environmental and social performers of the world’s 2,500 largest companies.